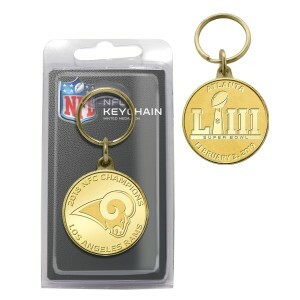 Not just a keychain, but the ultimate fan keychain! 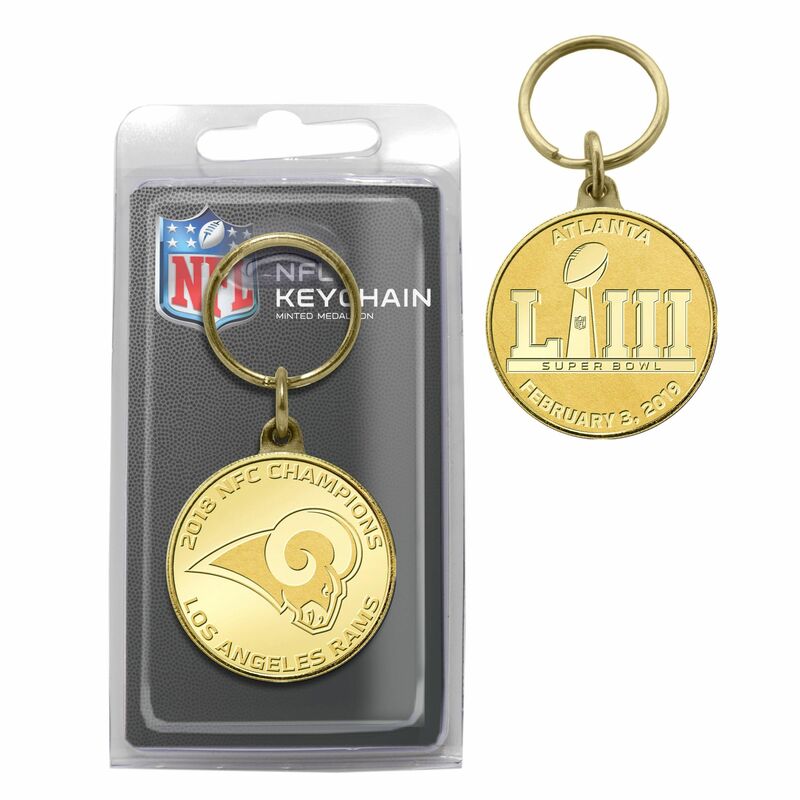 The Super Bowl 53 NFC Champions coin featuring the Rams NFC Champions logo on the front and the Super Bowl 53 logo on the reverse is struck in solid bronze. It is officially licensed by NFL and proudly made in the USA by The Highland Mint! Measures 9"x 6" x 1".